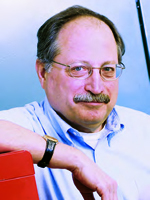 ﻿Steve Brueck was a staff member at the MIT Lincoln Laboratory in the Quantum Electronics group from 1971 to 1985. In 1985, he joined the faculty of the University of New Mexico, and in 1986 was appointed Director of the Center for High Technology Materials. He was promoted to Distinguished Professor in 2006. His research interests are in optical lithography for the definition of nanoscale structures and their use in nanophotonics (including plasmonics and metamaterials), in nanoscale epitaxial growth, and in nanofluidics. He has published over 350 refereed journal articles and has been awarded 47 US Patents.